paper pastries: Paper Pastries at Renegade SF today! Paper Pastries at Renegade SF today! We will be at booth #138, right down the middle aisle. Say you heard about this fair from the blog and get $1 off any purchase. Join us for the The 3rd Annual Renegade Craft Fair in San Francisco on July 31 + August 1, from 11am – 7pm each day at the Fort Mason Center Festival Pavilion. 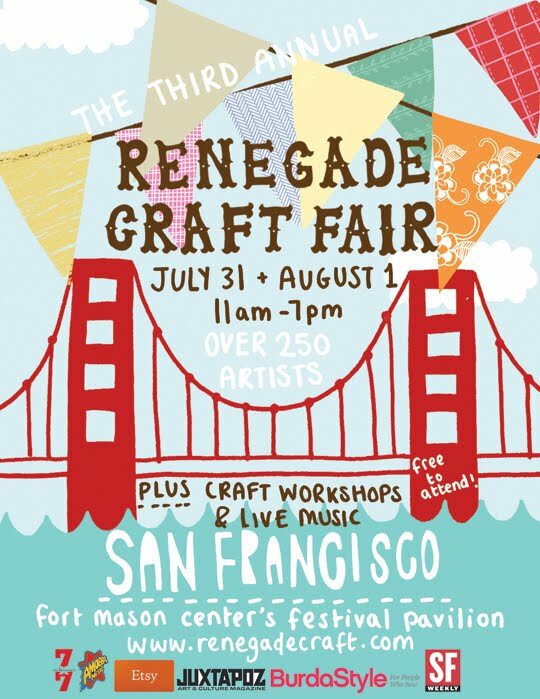 Renegade Craft Fairs are always free to attend. Fill in the Blank Friday, sleep.